Need a Tow? Let Us Know. We are more than just your average collision repair shop. We offer tow assistance to ensure your collision repair process is as hassle-free as possible. 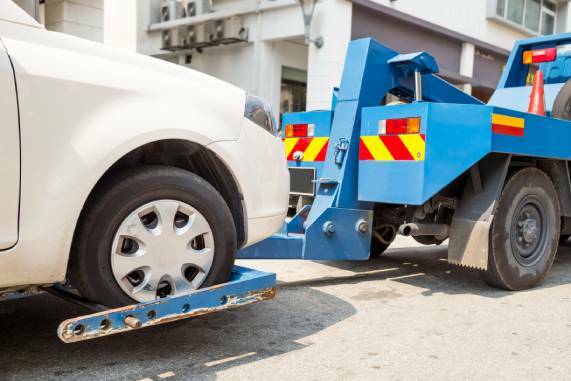 Whether you are driving across the George Washington Bridge and encounter trouble with your vehicle or have been involved in a collision in the Passaic County area, 821 Collision offers tow assistance to you in your time of need. We have a long-standing partnership with Auto Ambulance. They offer recovery and tow assistance for cars, trucks and SUV’s. With reputable, experienced drivers you and your vehicle are in good hands. For immediate assistance call 973.949.3733 to speak with a member of our team or reach us online.